Once as a patron at sign-up page on www.Patreon.com/NichelAnderson listeners that are patrons get full access to that week’s short story plus additional awards, such as, bonus short stories not published on the public podcast RSS feed and a chance to record a scene with Nichel as one of her characters in a short story. 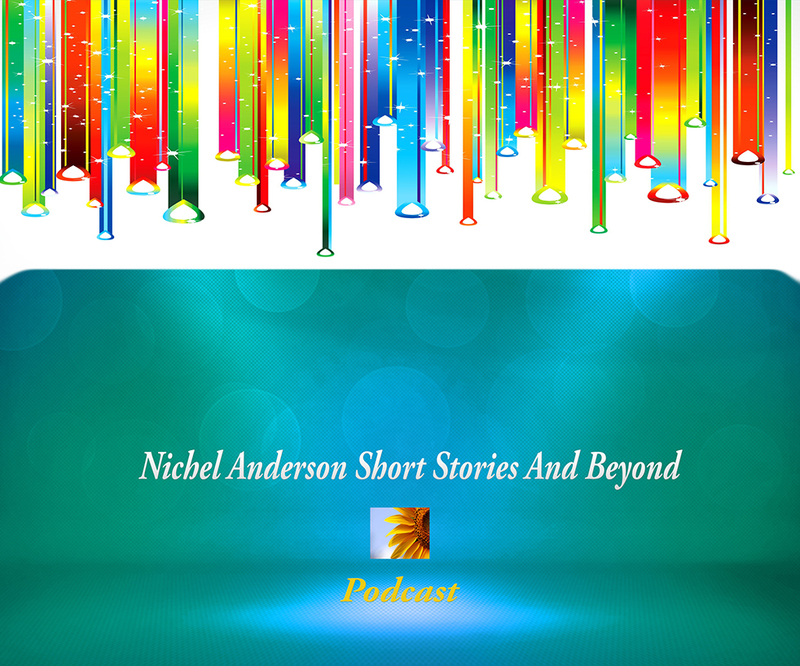 In this Episode 29 titled: “Bountiful Is Thee Amongst A Mitsry King”- This is the last Episode for Season 1 2017-2018 of “Nichel Anderson Short Stories And Beyond – Podcast” his week episode, Ms. Nichel Anderson was joined by two special guests: Mr. Reese Haines and Victor Dowell to assist in reading the storylines of MOLIAE Short Stories. In this episode things are revealed in the clips from the full short story of MOLIAE – an inspiring production based off her book: “Mitsrayim: A Memoir” then produced into “Moments of Love In Ancient Egypt (MOLIAE) focused on mainly for Season 1 2017 to 2018. In the Finale Episode things are connected from the before to the now, with only hints to what is to come for the future Season. In this Episode 28 titled: “Many Aspire For The Astar of Mitsrayim”- For this week episode, Ms. Nichel Anderson continues in week before next week Finale Episode where she provides a clip to the full short story of MOLIAE – an inspiring production based off her book: “Mitsrayim: A Memoir” then produced into “Moments of Love In Ancient Egypt (MOLIAE) focused on mainly for Season 1 2017 to 2018. In this episode leading to the nfinale on 5/28/2018, Nichel shared another clue to where and who by new forces planning another event to advance their objective for what was called the Astar of Mitsrayim. In this Episode 27 titled: “Betrayal Is Among Thee”- For this week episode, Ms. Nichel Anderson continues in the few weeks left of her newly launched podcast from last year 2017 to 2018 of the 1st Season with the stepping blocks in this episode leading to the finale on 5/28/2018. In this clip snippet, we will learn another clue to whom was some of the others that was against King Mahlon that led to the war. In another scene, Nichel shares another moment of a memory of Queen Hagar regarding the time of finding out about the condition of the war and ongoing challenges of Mitsrayim – that lead up to the first scene in Episode 1 – “Before The Time Of Princess Aamina” Something is revealed that leads to the discovery of one of the main rooted cause for the attack. In this Episode 25, “A Disagreement Among The Orions” – Nichel Anderson returns to the moments where Nontu returns to The Orions secret location on west bank of the Sudan. This secret location is filled with tunnels traveling afar that Nontu anxiously wishes to reveal some important information that could return his status amongst the Orion Rank of Superiors. Echo challenges the returned strategy that only delay their overall method in achieving the primary goal for Mitsrsayim and that region alone. What is the information that Nontu has that could change the trajectory of their Orion mission against Mitsrayim? Who will win this agreement and the next phase of their moments within the storyline of MOLIAE and Beyond in Season 1 2017- 2018? Could this be the missing link to what happen that set the path in to this overall podcast 1st Episode: “Before The Time of Princess Aamina? Get Podcast Episode – Episode 24 Podcast: “Any Day Can Be A Supreme Day” Nichel Anderson returns focusing on the future return of the King of Mitsrayim: Mahlon. It is Tayyib that speaks to the King in wisdom advice for the next move to reveal his return with still unknown oppositions of tribes. Mahlon confides in Tayyib for the needed guidance from the ancients in leading forward as well as the secrecy to the upheaval against Mitsrayim some few times again. Who was the main opposing tribe and why was the upheaval attack resulted in securing Mahlon removed from the throne of Mitsrayim? Get Podcast Episode – As we return to Nichel Anderson other podcast of short stories with this week’s Episode 23 “When A General Is Born” Featuring Special Guest Mr. Reese Haines – The short stories continue with Comrade Jetur returning back to Mitsrayim as the visit with Sanel territory to get another clue to where someone dear to him and the Crown of Mitsrayim whereabouts continues after the war – but the young Comrade Jetur finds nothing as he heads back to Mitsrsayim. This is the moment he gets welcomed and meets the King. It is Comrade Jetur rank has been promoted as THE COMRADE of MITSRAYIM Forces. Become a Patron to find out what happens next in this pertinent episode that places the pieces together to how and when Jetur became the General in the Mitsrayim / MOLIAE storyline. Get Podcast Episode – As we return to my podcast of short stories with this week’s Episode 22 Ancient essence from the Nile heals all wounds – The arrival of Tayyib and his wife Queen Mother Mana to Mitsrayim presented a royal event after the recent new condition of ueen Hagar seeks council with her wise father – Tayyib on a possible threat that she feels arising soon. A new path is communicated to take against Mitsrayim that will pose another threat in the new future. Queen Mother Mana shares an important moment with her daughter, Queen Hagar, over the recent moments involving King Mahlon and the insurgency of oppositions to Mitsrayim position of authority in the region. Character Profile – “King Mahlon” Episodes 21″ – *This wraps up Season 1 Character Profiles that in the last one featuring King Mahlon who was in the book: “Mitsrayim: A Memoir book, but he has never been in any other production medium previously produced, such as, the stage play episodes, webisodes until now in these Short Stories And Beyond. He will be one of those important characters to debut in the Prestige Return of MOLIAE Stageplay. In this Episode 21, Nichel Anderson introduces King Mahlon, as the ruler of Mitsrayim, a time of Ancient Egypt, and the husband to Queen Hagar, and the father of Princess Hannah. In these short stories season one, the time is before Princess Aamina moments on the scene, so King Mahlon prior ruling of dealings with those adversaries against him led to the future deal that will prompt his future daughter, Princess Aamina to marry King Dumah. In addition, the Episode 21 for Season 1, Nichel provides King Mahlon physical and personality characteristics, such as, he is the same age of his wife about a few years older, early thirties, a fairly young ruler. King Mahlon and Hagar was groomed in royalty not only their whole life up to this moment but surrounded by those of a higher intellect and knowledge of things not known to many. King Mahlon has military combat expertise as well as the region beyond Mitsrayim with many knowing his roots and dealing with the Orions. King Mahlon allies are disbursed but still loyal as he still utilizes them when many armies were sent to assist his Comrade to a known adversary near Ghaneto. King Mahlon is a loyal father and husband with knowledge in the Mystery School of Thought and Governing Law of Pleiden not yet revealed. King Mahlon will come forth more in the forthcoming episodes as well as in the Prestige Return of MOLIAE Stageplay. Show Topic: In Episode 20, Character Profile – “Comrade Jetur” Episodes 20″ – The focused is on characters in this 1st season podcast either featured in prior productions or forthcoming productions of MOLIAE, which is an adaptation of Ms. Nichel Anderson’s book: Mitsrayim: Memoir. In this Episode 20, featuring the very young, Comrade Jetur already been groomed in the military tactic skill of combat. Comrade Jetur now the general by the time this go published live for the public, he is built like a strong His father was not introduced in my book- Mitsrayim: A Memoir only Comrade Jetur that at that moment timeline was already the General for a longtime at the time of Princess Aamina on the scene. Comrade Jetur seems to be searching for someone as we learn in the prior episodes this season and not sure to whom, as of yet that will be. King Mahlon seemed to take him in as a son and new friend. I am not picking up too many other family members from Comrade Jetur just his father and what little has been revealed in the episodes or any of the stage plays but will make his debut as many others in the Prestige Return of MOLIAE Stage Play. Show Topic: Character Profile – “Princess Hannah” Episodes 19″ – *For the next several weeks nine characters will be focused on to either introduce new characters or re-introduce those previously mention in episodes, Mitsrayim: A Memoir book, stage play episodes, websites. In this Episode 19, Nichel Anderson will focus on a new character never before introduced in any previous creative medium for public access: Princess Hannah – the daughter of King Mahlon and Queen Hagar and soon to be in the future timeline of the book: Mitsrayim: A Memoir the older sister of Princess Aamina. In the Nichel Anderson Short Stories And Beyond, though, Princess Hannah is a young 7-8 year old princess and very much impressionable by her strong mother and father, especially, with Queen Hagar. In the short stories, she is accustom to royal protocol so very mannered and cooperative to the primary directive with little resistance to overall paradigm to conduct affairs. Princess Hannah was never featured in any of the creative mediums, such as, the stage play episodes, the webisodes, or short film, only in the book and so she will make her debut on stage in the Prestige Return of MOLIAE StagePlay. Princess Hannah plays a vital part in that time from the book perspective to the build up for resisting King Mahlon and Queen Hagar pursuit for Princess Aamina to marry the Kings. Princess Hannah learns her way of voice and statue by standing her ground in the years to come within these short stories that is before the time of her younger sister. Princess Hannah is highly educated and well spoken by being learnt in the higher mystic schools as well. It is Ms. Nichel Anderson Director Clip Notes on her Podcast Show: “Nichel Anderson Short Stories And Beyond” where she reviews previous podcast episodes in the last few weeks with followers / listeners. She gives insight to how the story was created and sometimes new information on what’s to come with the characters, storyline, and future promotional events. This is a great opportunity to tune in that is usually every 4-5 weeks after previous episodes have been published.